If you’ve lost teeth for any reason, dental bridges may the answer to your prayers. 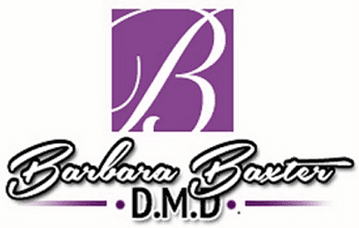 At the Washington, DC office of Barbara Baxter, DMD, Dr. Baxter offers bridges to restore and enhance smiles. Bridges not only offer cosmetic benefits but a host of oral health benefits as well. To find out if you’re a good candidate for bridges, call or use the online booking tool today and schedule a consultation at the office. Bridges are sets of prosthetic teeth that are used to “bridge” gaps in your smile. They are custom-made for you and match the color, shape, and function of natural teeth. If you’re missing teeth, a bridge is generally a viable option to fill gaps in your smile and restore your appearance. Having bridges made and placed typically requires at least two office visits with Dr. Baxter. At your first visit, she takes impressions of your mouth that she sends off to an outside dental lab where your custom-made bridge is made. She may also file down certain teeth to make sufficient room for the bridge. When you come back in for your second visit, she places your bridge in a simple procedure. Bridges are either bonded onto surrounding teeth that act as anchors to stabilize the restoration, or they’re attached to implants for added support. After getting your bridge, Dr. Baxter makes sure to schedule follow up visits with you to evaluate your progress and make sure you’re adjusting well to them. Bridges provide a host of noticeable cosmetic and oral health benefits for those with missing teeth. By filling gaps in your smile, bridges can enhance your appearance and give you a boost of self-confidence. Beyond just fixing your smile, bridges also address facial drooping. When you lose teeth, your jaw and facial muscles can become affected, as they’re used to support a full set of teeth. Bridges can help fill out your facial profile. Bridges also improve several key functions that missing teeth negatively impact, including chewing, speaking, and digesting. With proper care, your bridges should last at least 5-10 years, if not more. The key to ensuring your bridges last a long time is taking excellent care of them. As you age, your mouth naturally changes and your bridges may need minor upkeep or alterations throughout the years. Make sure to continue brushing and flossing regularly, and maintain your regular dental visits with Dr. Baxter for monitoring. If you want to learn more about bridges or find out if they may be ideal for you, call or use the online booking tool today and schedule a consultation at the office.